Attending a great chelem tournament, the best present you can offer to your guests, nicest hospitality , best tickets , best boxes , best catering, nicest colors, best matches on center court... A day you will never forget at Roland Garros. 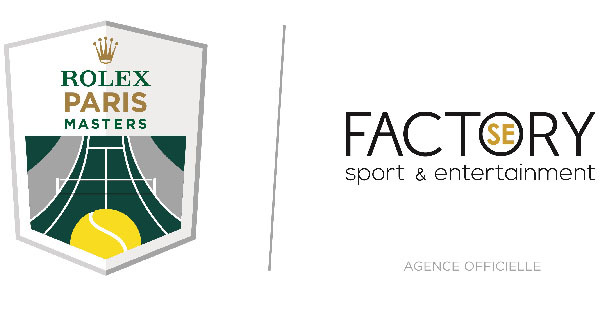 Partners of Factory-SE are active since 1990 in Roland-Garros ticketing and VIP solutions for corporate and individuals that want to travel in the best conditions. Therefore they can be considered as pioneers and experts. Factory-SE will be pleased to assist you in many ways, just challenge us! Factory-SE offers you a choice of first class hospitality to enjoy your day of tennis at the french open in Paris. VIP Corporate hospitality 4* experience with gastronomic lunch : Public relation package far from the crowd, a quiet country club hidden in the green. VIP Corporate hospitality 4* experience with gastronomic Diner : Brand new public relation package area with an outside terrasse. A few steps from center court. Best caterer. VIP Corporate hospitality 5* experience with 5* gastronomic lunch in a Premium confidencial corporate VIP package with the best suite and caterer (gold menu) : You’re wellcomed like a sponsor. You’re seated with Gold tickets on center court or on Suzanne Lenglen court box at your convinience. VIP corporate hospitality 5* experience with 5* gastronomic lunch : Premium Public relation package « Le club des Loges » : You can reserve your own private box throughout the tournament in best condition.